The annual Saint George’s Day celebrations in Gravesham and Dartford will be some of the biggest taking place in England on April 23rd. 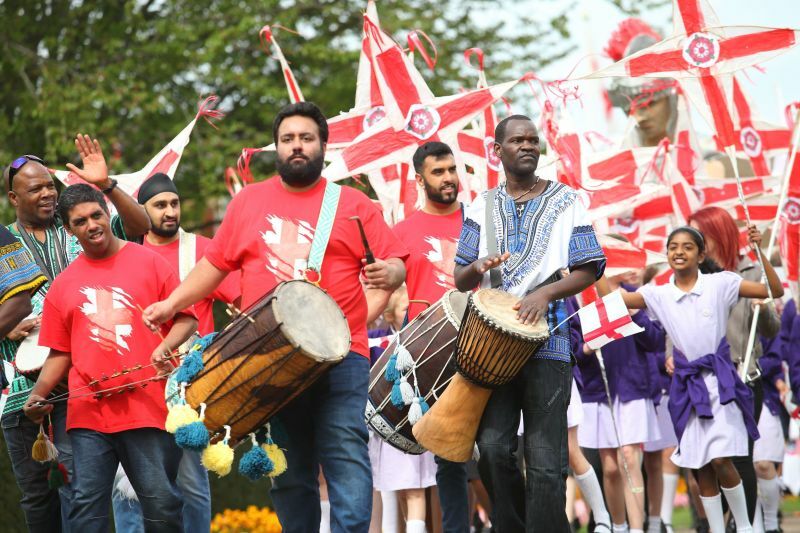 The celebrations, which have been put together by Kent Equality Cohesion Council and Cohesion Plus celebrate the communities of England in the context of 2019 and educates young people about Saint George the patron Saint of England. This year 22 local schools across Gravesham and Dartford have been taking part in arts workshops run by arts organisation Same Sky in the lead up to the parade where they will have the opportunity to showcase their creations. The festivities are supported by Gravesham Borough Council, Dartford Borough Council and Arts Council England. The celebrations in Gravesend Town Centre will take place between 10am and 11.30am and in Dartford Town Centre 12.30pm to 2.30pm. Entertainment includes Big Fish Brass Band, DDFK and Premier Brass Bands, West Hill Morris, Hartley Morris Men, Saint George’s themed Stilt Walkers, a Saint George in full armor and a large scale dragon will feature.